Recovering a lost dog is all about launching a very visible marketing campaign. Tagging is a process of using florescent window markers to market your lost dog as you drive through your community. Placing a florescent message on the back of a mobile billboard (the back window of a car) has already proved to be a very effective method for recovering lost dogs. This is an easy and inexpensive technique that you can try to help you recover your lost dog! How do I Tag My Car? Depending on the size of your car window, you will either have three or four lines to write your lost dog message. You want to convey three pieces of information: the breed or description of your dog, the location (city, intersection, or neighborhood name), and your phone number. The letters should be three to four inches tall – any smaller and they won’t be easy to read. You should use different colors in your message to break the message apart, making it easier to read. Using just one or two colors dilutes the impact of your message. If you have room, you can include a color photograph of your dog inserted inside a plastic sheet protector and secured to your window with clear packing tape. If your dog is a mixed breed, describe the dog as best as you can (“Tiny Tan Terrier” or “Black Shaggy w/ Wht Chest”). Remember that some non-dog people do not know many breeds of dogs so instead of naming a lesser known breed like a Shibu Inu, try and describe your dog (“Brown / Pointy Ears / Curly Tail” instead of tagging “Shibu Inu”). Missing Pet Partnership recently tested four different brands of window markers. The best marker that held up to heavy rain and that MPP uses (in our Seattle program) is the “NEOMarker” manufactured by Neoplex. We recommend that you purchase a total of four different colors (orange, yellow, pink, green, and/or blue). Make sure to order the 1/2″ broad tip “Neon Car Glass Markers”. Each Neoplex marker costs $7.99 each and they are not available in most stores. NEOMarkers can be found in some police uniform / supply stores (they are used to mark abandoned cars) but most likely you’ll need to purchase them on-line athttp://www.neoplexonline.com/waterproof-neon-fluorescent-marker/. Ordering 4 markers (1 orange, 1 green, 1 pink, and 1 yellow) will cost you approx $31.96 plus shipping and taxes. If you purchase markers that you end up not using or that you don’t need anymore, please donate them to Missing Pet Partnership! You can ship them to: Missing Pet Partnership, P.O. Box 3085, Federal Way, WA 98063-3085 and we will use them in our program to help recover lost dogs in our community! Other brands of window markers that we found at stores like Michael’s and Walmart flunked our rain test. In the photo on the right, we marked a car with four different colors there were four different brands (yellow, orange, pink, and red). Three of the brands (yellow, pink, and red shown on the right) melted under a heavy spray of water. The only marker to stay intact was the orange which was the NEOMarker brand. The broad tip on the NEOMarker makes it easy to apply and allows the creation of large letters that flow easily from the marker. Can I Tag My Car in the Rain? While our testing of window markers showed that the NEOMarker can withstand heavy rain, we’ve also noticed that even the NEOMarkers can end up running due to rain if the markers are applied to a cold window. If possible, tag your car inside a garage. You might warm up the window by running the car with a heater on and then applying the tag, allowing it to dry before exposing it to direct rain. Our experience has shown that trying to tag a car while it is raining is pointless because the raindrops will cause the tag to run. Will Tagging Damage My Car? Window marker paint won’t harm your car. Although the paint might run in cold, rainy weather, it will flake off in pieces and can be washed off of your car with a strong spray of water (nozzle on a hose works best) or removed with window cleaner and rags. To remove window paint, simply spray with window cleaner and wipe with a rag. The paint will immediately melt into a smeary mess but it will wipe off easily with more window cleaner and rags. NEOMarker paint will permanently stain clothing and/or rags, so only wipe the paint off with rags that you don’t mind having stained with multi colors. Do You Only Tag for Lost Dogs? Most of the time we tag for lost dogs. In some cases we tag for lost cats, but usually only if the cat is unusual looking or is known to be traveling. 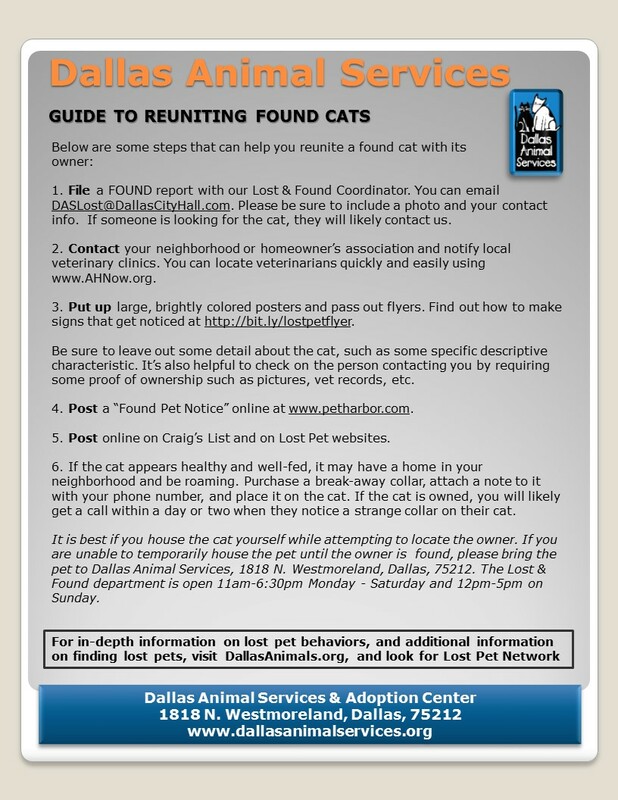 The proper way to recover a lost cat has more to do with searching the cat’s territory (i.e. 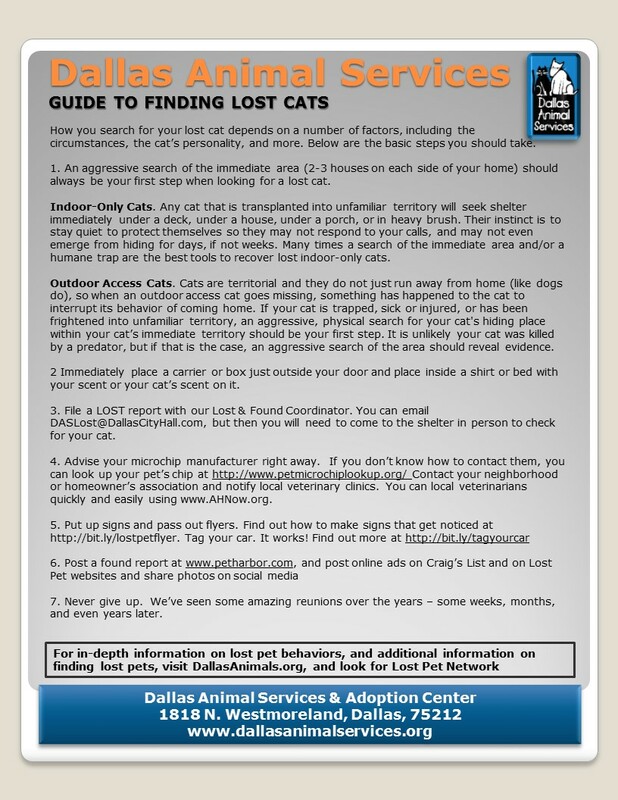 your neighbor’s yards) than it does marketing a lost cat throughout an entire community. 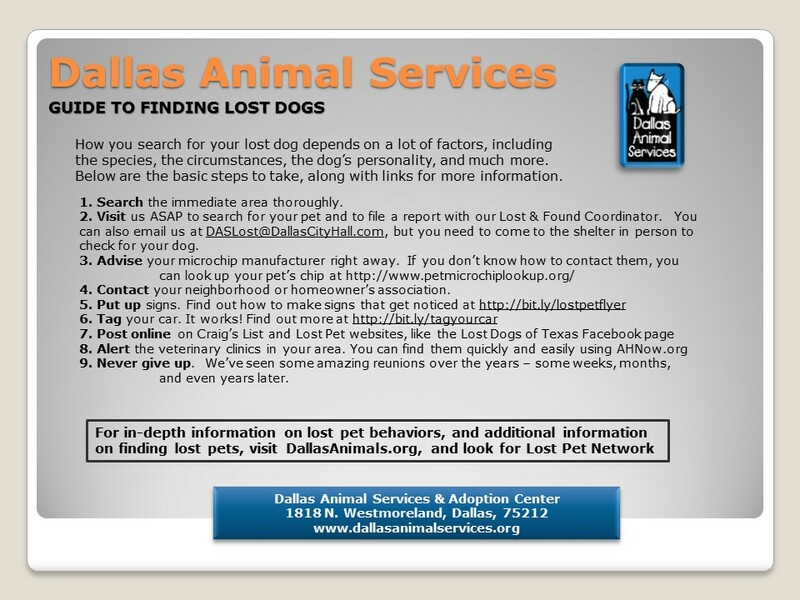 Because lost dogs travel farther and are picked up by people, a method like tagging can be quite effective. In addition, if you have a unique pet (ferret, parrot, box turtle, etc.) that is identifiable and likely to travel, by all means, tag your car! How Will Tagging Help Me Find My Dog? Tagging your car will help you market your lost dog. The more friends and family members that you can convince to let you tag THEIR cars with your lost dog information, the better. 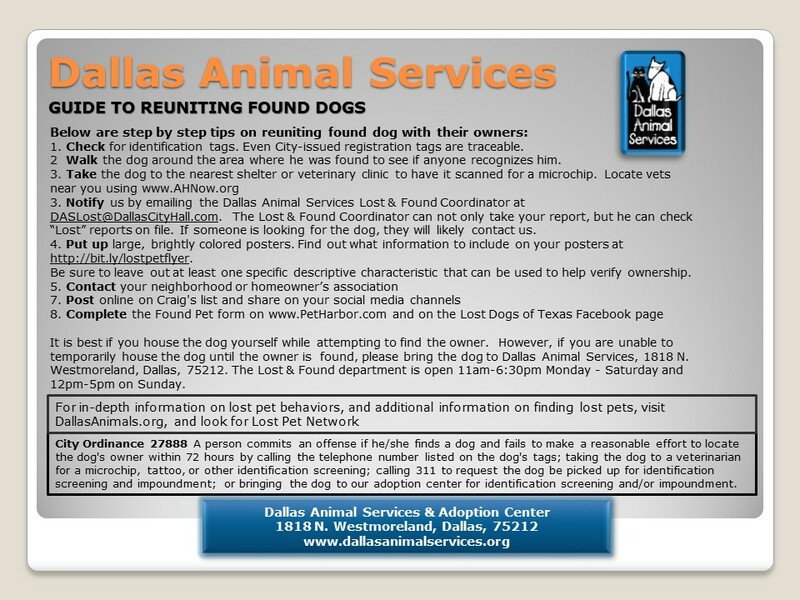 We even had a case where a dog owner tagged their parked car (parked on the street in front of their house) that resulted in the recovery of their lost dog because their neighbor (who had found the dog) never noticed the flyers they had posted. Tagged cars get noticed and that is the purpose of tagging! You want EVERYONE in your community to notice and read your message. If your friends or family members won’t let you tag their cars, look for a local dog rescue group in your area with volunteers willing to have their cars tagged. Most rescue group volunteers are avid dog lovers who would rather see your dog back in your home than end up on the streets or in shelter. They likely have never heard of tagging (because this concept is new), so perhaps you can convince them to start using this technique to recover your lost dog and ultimately other lost dogs in the future.